Every community needs a myth. The Jewish people have the Exodus story. Americans have the vision of “one nation under God”. The Polish myth is undoubtedly the one of a Catholic Pole, where “Catholic” means membership in the Roman Catholic Church. Myths may not and should not be looked at through the lens of historical criticism, because their truth exists on a totally different level than that of historical events. Demonstrating that the origins of Israel’s history were different than the Biblical story of Exodus does not alone alter the meaning or devalue the Biblical narrative. Also pointing out that the words “under God” were added to the American pledge of allegiance to the flag only half a century ago in order to meet the political goals of the time does not diminish the impact of this addition on the consciousness of an average American. Sometimes it is worthwhile, however, to relativize the meaning of myths, pointing out the clear discrepancy between them and the historical reality. “This reflected Henry’s desire not only to have his way regarding the divorce but also to allow England to be free from papal interference in the affairs of England”. “Putting aside the issue whether there was a separate Slavonic archbishopric in the old Cracow, traces of the Slavonic rite and the Methodian tradition seem unquestionable”. Consequently, it also seems unquestionable that Christianity reached the Polish territory earlier than in the second half of the tenth century – and not in the Latin form but rather in the distinct Slavonic rite. It is important to note too that it came from the East which was then in conflict with Rome known in history under the rather unfortunate name of the “Photian schism”. Some historians are of the opinion that this tradition contributed to the reception of Hussite ideas, which came from the neighbouring Bohemia six hundred years later. It is certain that when King Wladyslaw Jagiello in 1400 reactivated the Cracow Academy (as the Jagiellonian University was first called), the pope didn’t allow for the theological faculty to be established, because he was worried by the deeply rooted sympathies for the idea of a national church among Cracow intellectuals. We find this idea for example in the so called “Monumentum pro rei-publicae ordinatione” (“Treatise on Improving the Republic”) written by the famous publicist and royal advisor Jan Ostrorog and published half a century before Martin Luther proclaimed his 95 theses about indulgences, which is considered to mark the beginning of the Reformation. Since the Reformation was mentioned, it seems worthwhile to look at the origins of the Protestant community in Cracow, our hosts today. Already in the fifth decade of the sixteenth century sermons in the spirit of the Reformation were preached in Cracow’s churches and in 1552, in the neighbouring village of Wola Justowska, the first Protestant service was celebrated. Five years later Grzegorz Pawel was appointed the first permanent Protestant preacher; he later became a well-known figure of Polish (Unit-)Arianism. But the idea of a national church was cherished not only by the protagonists of the Reformation. Also the primate of Poland of the time, Archbishop Jakub Uchanski, was an advocate for it. This eminent humanist wanted all the attempts to reform the ecclesiastical polity to be united – those represented both by Protestants and by Catholics. Given the fact that the then king of Poland, Sigismund Augustus, seemed to support this idea at first, it can be said that not much was needed for “ecclesia anglicana” to gain its middle European counterpart, “ecclesiae poloniae”. Unfortunately, Sigismund Augustus did not desire a masculine offspring as much as Henry VIII did… But the idea as such survived. We can observe its revival in a completely different historical setting at the end of the nineteenth century. For all those who remember the gate to the Gdansk shipyard, the cradle of the “Solidarity” movement, on which hung, among other things, the portrait of the Polish pope, and who remember the papal support for the struggle for liberty in Poland, it is particularly difficult to imagine, but during the 123 years following the partitions of Poland, Rome was not an advocate of Polish independence. Also the local higher church hierarchy had a sceptical attitude towards the struggle for independence, which, by the way, can be seen from today’s point of view as an expression of political realism and reason. Then, however, it lead to a gradual growth of the gap between the people and the church, which resulted not only from the differences regarding the fight for independence but also the increasingly acute socio-economic situation. The church was one of the biggest landowners, which made it yet another exploiter of the poor peasantry. Also in the cities it was not able to establish contact with the growing working class. This is the social background against which one should see the almost simultaneous emergence of the two national Catholic movements, which later became a part of the broadly defined Old Catholicism: that is the Polish National Catholic Church, established among emigrants in America, and the movement — subsequently church — of the Mariavites in the part of Poland ruled then by Russia. 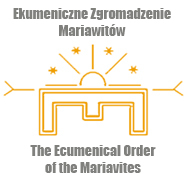 More could and should be said especially about Mariavitism but for the purposes of this talk it will be enough to say that this movement for religious and social renewal can also be regarded as an important expression of the vitality of the idea of a local – national church. We would like to conclude this historical excursion by referring to Rev. Karol Grycz-Smilowski who is little known even though he is closely related to the place where we are now. This Protestant minister and army chaplain left the mainstream of Polish Protestantism during the Interbellum and promoted the idea to renew the tradition of the Polish Brethren – the (Unit-)Arians. He preached humanistic and progressive Christianity. An interesting example of Rev. Grycz-Smilowski’s views is found in his pamphlet concerning issues of human sexuality, where he tries to present them in the most open and affirming way possible. He also takes up the issue of homosexuality which was far more controversial in his time than it is today. Although his reflection on the matter seems outdated from our perspective, it should be appreciated that the author tried to approach it as positively as was possible for him. His vision of Christianity refers to the best traditions of Polish humanism. It is not our intention, obviously, to make an Anglican out of him. Grycz-Smilowski’s theological views place him in another Christian tradition but we think that his passion for Christian humanism should be mentioned also in this presentation. However, historical context is not our primary focus today. Rather our goal is to answer the question of whether a Polish Episcopal congregation can be an answer to real needs of today’s Christians in Poland. What purpose may it serve to further complicate the Polish denominational map? While it is perhaps still not comparable to the denominational map of the United States, during the last 20 years it has undoubtedly become much larger. Let’s start with emphasizing something very important to us – we don’t want to proselytize. It is not our aim to “steal” people from the existing churches. The Anglican presence in Poland dates back to the seventeenth century and the hallmark of Anglicans was respect for the existing religious traditions and a desire to cooperate with local churches. An example of this can be seen in the cooperation between the Anglican mission in Poland and the Polish Reformed Church during the Interbellum. Clergy wearing the characteristic Anglican cassocks and scarves can be seen in the photographs from that time, and the Polish Reformed Church represented the mission’s interests before Polish authorities. The relations with the Orthodox Church were also good. Orthodox sources from that time are full of complaints about Protestant proselytism; interestingly, however, there are no references to Anglicans, because they did not engage in mission among sister Christian churches. We certainly would like to continue this tradition if the church planting in Poland proves successful. We are looking for friends and allies and we are happy that we have already found some. But we do not see the existing churches in Poland as a potential mission field. Using vocabulary taken from a sphere other than religion, we see Polish Episcopalianism as an offering for people who cannot find their place in the existing churches or in the framework determined by the division into the Protestant and Catholic Christianity, especially because at its foundation lie controversial issues that have not played any important role in the history of Polish Christianity. Of course, we don’t want a closed church, which would be isolated from the rest of the world or would take a hostile attitude to it. There are already centres in Poland that call themselves Christian and at the same time promote nationalism, chauvinism and xenophobia. We believe there is no need to stress that we have nothing in common with them. We consider ourselves a part of the universal church which exceeds the national and cultural boundaries. On the other hand, however, we do not want disputes and controversies that have nothing to do with the local context to be imported here. When we look at the congregations, for example, that bring Calvinism to Poland in a form developed in seventeenth century Holland and then in America or South Africa, not taking into account the fact that the irenist Polish Calvinists never accepted the doctrine of double predestination, it is for us an example of such an undesirable import, even though we do not deny anyone the right to draw inspiration from wherever they want. Last October we visited Bishop Pierre Whalon, who is with us today. We met in Paris in order to discuss the idea of today’s meeting. He said then something that could be seen as a sort of “mission statement” (we quote from memory; if Bishop Whalon doesn’t recognise these words, he will have a chance to correct us): “If an Episcopal congregation is to be set up in Poland, it should be a Polish speaking congregation, emerged from the local context”. That is why we see this project as an addition to the presence of the Warsaw chaplaincy of the Church of England, which is focused on serving the English-speaking population. One of the features of the local context in our opinion is the existence of a growing group of people who on the one hand do not find a place for themselves in the Roman Catholic Church in Poland, and on the other are not Protestant in the sense defined by Lutheranism, Calvinism or the Evangelical churches. These people for various reasons also cannot find a place for themselves in the Polish Old Catholic churches, for instance because, in their opinion, these too closely resemble Roman Catholicism, either with regard to spirituality and doctrine or because of the little influence that the laity have on church life. These are people who cherish the vision of a church grounded in the ancient local traditions and at the same time open to the questions and challenges of today; a church in whose heart lies a beautiful liturgy, and above all the sacramental life; and a church which, proclaiming the Gospel of Jesus Christ, boldly takes up the difficult moral and social issues. A church that wants to be a church welcoming all, regardless of gender, political convictions, social status and sexual orientation and one which expresses that through the creation of concrete possibilities to minister and to shape its character not only for bishops and clergy, but also lay people (we can refer here once again to the baptismal ecclesiology which Dan talked about earlier). We think that reformed Catholicism adapted to the local context as expressed by Anglicanism could become their spiritual home. On the other hand, relativizing somehow the differences between Catholicism and Protestantism accumulated through the ages, we don’t want to fall into the trap of the newer controversy – between “liberal” and “conservative” or “orthodox” Christianity. Here once again we should refer to the previous talk, where diverse expressions of Anglicanism were discussed. When two and a half years ago we set up the blog “Don’t Shoot The Prophet”, one of our goals was to challenge the myth prevailing in Poland that the Episcopal Church is a liberal church. Of course, this is also the church of Bishop Spong or some members of the famous “Jesus Seminar”, who are iconic figures in liberal Christianity. And it is good that it is so, but above all it is a broad church, comprising a multitude of spiritualities and theological visions. In one of the books written by Alan Jones, the former dean of Grace Cathedral in San Francisco, whose visions we often present on our blog, we found a great declaration which also applies to our approach: “I cannot identify either with liberals or conservatives”. We were often labeled as liberals because we support the ordination of women and the inclusiveness of the church towards the LGBT persons. Unfortunately, we can’t help but accept that these things became recently the litmus test of liberal Christianity. But what about our need to build on the tradition of the undivided church of the first centuries, to deal with the ancient creeds? And what about our love for old liturgical traditions? One can hardly consider these as expressions of liberalism. But it is more important than that. Judging by the reactions we receive, we are not the only Poles who try to combine the old and the new and withstand the tension that results from this. Contrary to the comments we received after announcing today’s meeting, we do not aspire to set up yet another “liberal church” nor a “church for the homos”. We dream about a community whose character is best described by the English word “comprehensive”. Today’s meeting is meant to be an encounter with Anglicanism. That means that this is not only an occasion to listen to a few stories about it, but above all to enter the very heart of this tradition, which is the Eucharist. We would like here to once again thank both Bishop Whalon for coming here and celebrating the Eucharist and Rev. Roman Pracki and the vestry for making this church available to us. We are also very happy that Rev. Prof. Konrad M.P. Rudnicki is with us today and will also worship with us this afternoon. This enables us not only to talk about something, but also to see how it tastes to be an Anglican/Episcopalian. The latter is impossible without the liturgical context, even though it is obviously not limited to the liturgy. The inseparable part of the programme is also the time to share reflections and ideas which we’ve planned for after lunch. It will be also a time to ask questions which we will try, as best we can, to answer together. But now we would like to use this opportunity to ask questions that are important to us as the initiators of the meeting. It is obvious that being here today doesn’t necessarily mean support for the idea of an Episcopal congregation being planted in Poland or, all the more so, future membership in it. But we have never concealed that it is our intention to examine such a possibility. That is why we would like to find out if you share our intuition that such a congregation could answer real needs of Polish Christians. Also, would you be ready to engage in its establishment and support it? We do not expect any declarations at the moment. But if you are ready to consider these questions, the goal of today’s meeting has been achieved.